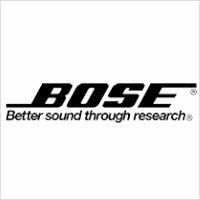 While all the other consumer headphones companies supply to various segments of the industry, Bose supplies to the military. The fact that they supply to the Air Force of the US states just how well made and isolating the headphones are. The first in the world to make Active Noise Cancelling headphones, they are still the market leaders when it comes to that particular feature in a product. 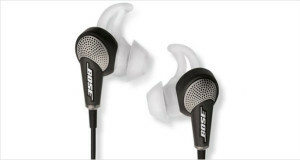 Bose produces in-ear, supra-aural and circumaural headphones as well as mobile headsets in addition to home theater systems and aviation headsets. This wide range of audio electronics comes directly from the company’s slogan of “Better Sound Through Research” and indeed, they end up having extremely good sound that keeps getting better and better as the years progress. However, this sound quality comes at a steep cost – Bose headphones are not cheap and certainly do not look cheap. They are sturdy pieces of construction with extremely clear sound quality and great comfort that makes listening to Bose an experience rather than just “listening”. Thus, the usual parameters listed in headphone products are eschewed in favor of letting the user judge how good or bad the headphones are. To this end, no Bose headphones come with published acoustic parameters that are the norm for the rest of the industry. This idiosyncrasy adds to Bose’s mystique and is a prime mover in the company’s mission for better sound. Bose was founded by Indian-American Amar G. Bose, born to an Indian freedom revolutionary and an American mother. He went on to study at Massachusetts Institute of Technology where he studied the importance of indirect sound on perceived audio quality – directly leading him to found the company in 1964. Continuing his research on sound and the study of psychoacoustics – the listener contributing as much to the sound as the sound contributed to the listening experience. One of the premier reviewers of music systems at that time, Norman Eisenburg, picked up Bose’s loudspeakers and gave it a rave review titled “Surround and Conquer” which led to abundant success from other reviewers and thus the consumer world in its entirety was introduced to Bose speakers with a bang; Bose’s most unconventional and highly respected product – the Model 901 – premiered in 1968 and the rest as they say is history. In 2011, two years before his death, Amar G. Bose donated most of his holdings in the firm in the form of non-voting shares to his alma mater, MIT, to further the research conducted there. 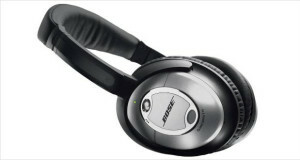 Bose is known for its excellent noise cancelling headphones. 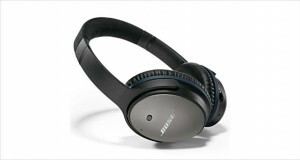 The QuietComfort 15 from Bose is a magnificent example of this engineering with best-in-class noise cancelling in a comfortable and small frame. The price, however, is as big as the sound stage in the headphones with models retailing at $400. Nevertheless, if you have deep pockets – and you would if you are a frequent business class traveller – these are the headphones for you as you wander back to the recesses of your mind with the comfort and quiet of your own music.